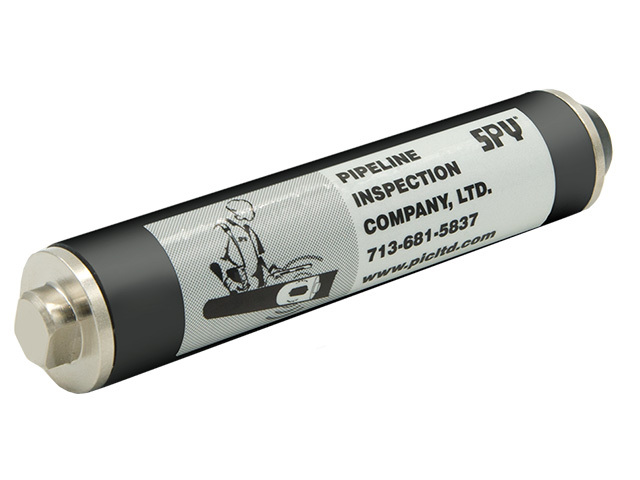 For the most reliable signal available, the SPY® PT-107 Transmitter uses low frequency signals to effectively and consistently penetrate a steel pipe wall. The PT107 transmitter is self-contained and travels inside various pigs. A hand-held receiver and wand are used to locate the transmitter. SPY® Transmitters have been proven effective in the field for over 20 years. Each SPY® Transmitter is designed and built for long reliable service. * When calculating pipe bends please reference the pig manufacturer. Additionally, when using steel mandrel pigs, the minimum pipe bend is determined by what the actual steel mandrel pig can negotiate.